There used to be a time where I said: a Facebook like isn’t worth anything much. But right now, while you are reading this, you could be supporting us. Not by much, but by a very very very tiny bit. See the piece of this web page above? This allows your web browser to execute code. This code tries to solve mathematical puzzles of a very specific type, and when it finds a solution sends them to the server. When it does that, we get a very very very tiny bit of money – like a thousandth of a dollar. 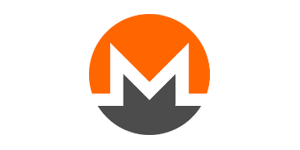 What your computer is doing is called mining, and it is mining a specific type of crypto currencies called Monero. The technology behind this is called Blockchain. It can be used for much more than just crypto currencies but it will take time for humanity to realize how wild this idea was and understand how fundamentally unique and powerful this technology is. The inventor of Blockchain, Satoshi_Nakamoto, is rumored to live in Japan, but nobody knows his or her real identity. Well, except Satoshi Nakamoto, who probably is not living in Japan with that name. For an article about the cryptocurrency Monero, check out this info on Wikipedia. If you want a closer look at it, read through the PR on the website getmonero.org. If you feel for it, let this browser window be open for a while longer.